In today’s rumor rundown we take a look at the drama that’s unfolding in Ottawa and whether or not that has led to Erik Karlsson’s standing on the trade bait boards, what the Edmonton Oilers are really looking at doing with a Milan Lucic trade and how busy the defending Stanley Cup Champions will be this offseason. 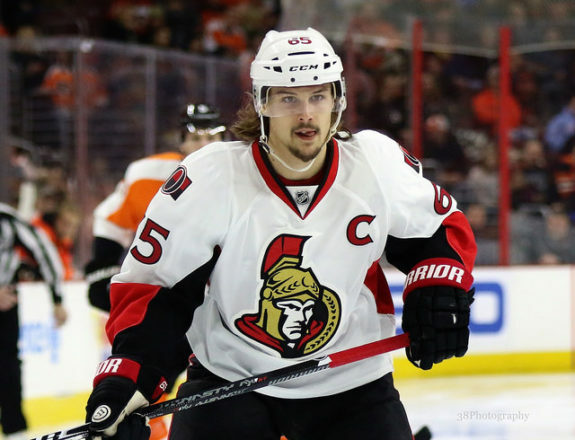 Did Erik Karlsson Ask for a Trade? TSN’s Frank Seravalli has had Erik Karlsson’s name near the top of the Trade Bait board for some time and while he claims it’s because of the Golden Knights interest in him last season was enough to move him up the ladder, it can’t be a coincidence that his continual ascension up the board is not related to the news that came out regarding Mike Hoffman’s long-time girlfriend allegedly harassing Karlsson’s wife. If nothing else, the Senator’s organization is a mess and how much discomfort this story is putting on the players, the franchise and Karlsson himself, who was already rumored to be a trade piece in Ottawa, is at an all-time high. The news surrounding Karlsson’s wife, Melinda Karlsson, and Mike Hoffman’s wife, Monika Caryk, might prove to be too much for Karlsson and if a request for a trade hasn’t been made, it would surprise no one if it comes. No official nor legitimate media sources have confirmed that Karlsson has officially requested he be moved via trade (we are not suggesting this has happened yet either) but almost everyone is suggesting these two sides can no longer co-exist in the same locker room, nor could the women manage in the wives lounge; things are too far gone. Hoffman has denied any of the allegations against his girlfriend but this pretty much seals the fate of the organization getting Karlsson to sign an extension and it fuels the rumors that Hoffman is rumored to be traded by the NHL Entry Draft. But, to date, these are still only allegations that the organization is looking into and Karlsson has not made a public comment on his status in Ottawa. “Retaining salary is an option, or taking tough contract back, but Oil should be cautious IMO to give up too much to move him. They need wingers, and if he bounces back could still be valuable. They bet on him once, why spend assets to cut bait so quickly? Unless they are big game hunting for a fix on the blue-line and his money is in the way of doing something bigger. We shall see. The last line is the most interesting part of that statement. 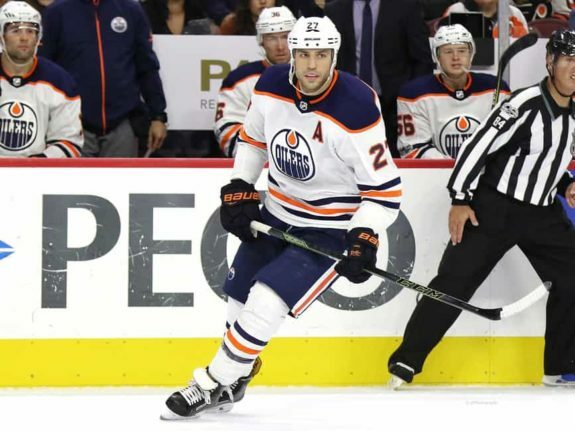 Are the Oilers less worried about Lucic rebounding and more interested in a big-name defender who might pop up as available? So far, P.K. Subban, Erik Karlsson, and John Carlson are rumored to be potentially available, among others. There were also whispers the Oilers had opened informal talks with Ilya Kovalchuk on a shorter-term deal. Chris Nichols of FRS Hockey reports that Elliotte Friedman was on Sportsnet 650 and was asked who might have interest in Lucic and what the Oilers might have to add to make a deal possible. Friedman believes the Oilers are confident they can trade the tough but struggling forward but that they’d have to offer to retain salary or take back a bad contract. “Florida liked him, Dallas liked him. Dallas invited him there, they were in there right at the end when Edmonton got him. I think you go to those teams first and say, ‘Okay, what’s the interest level.’ And then after that’s done you basically start calling everywhere else.” If Dallas, one of the few contracts on the roster that makes sense from a Stars perspective is that of Jason Spezza. JJ Regan of NBCS Washington said GM of the Washington Capitals, Brian MacLellan said expects Ilya Samsonov to start in Hershey (AHL) next year and Samantha Pell of the Washington Post is thinking the Caps will look at trading a backup goaltender this offseason. Philipp Grubauer is a pending RFA and his potential demand for a salary bump could mean he’s on his way out. “I would love to have Gruby back. We’ve got two really good goaltenders. I just think he is at the point where he wants his own team and he wants to be the guy that is running the show for his own team and I respect that.”, MacLellan said. Tarik El-Bashir has noted MacLellan wants to re-sign unrestricted free agent defenseman Michal Kempny and that Kempny wants to stay. Kempny has said he loves it in Washington. Craig Custance of the Athletic tweeted, “Mike Green has an offer from the Red Wings and a decision to make. Arguably the 2nd-best potential UFA defenseman if he goes to the market”. There would be considerable interest in Green should he make it to market on July 1. There is also speculation that Paul Stastny’s time in Winnipeg is over and that the Jets don’t won’t have the money to keep him with the organization. He’s arguably the next best center available in this year’s free agent class and it will take a team some serious money to land him after how he helped the Jets in the final legs of the 2017-18 regular season and their playoff push.